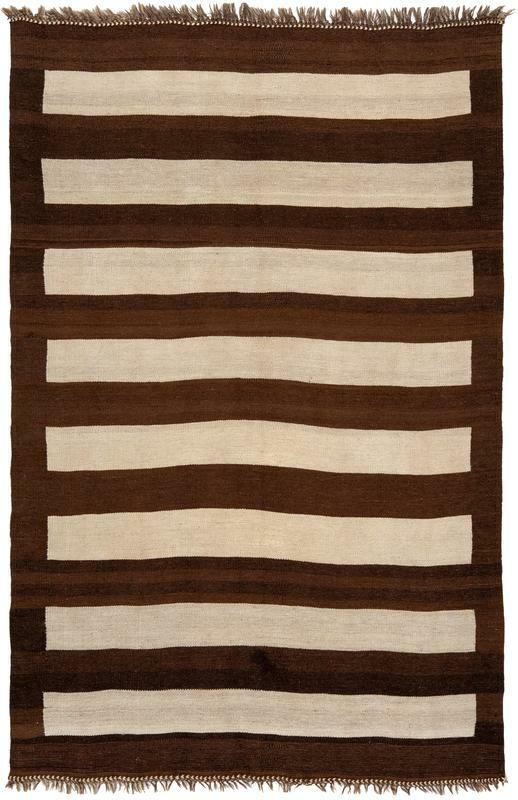 4' 7" x 7' 2"
One may read the design of this outstanding Lori kilim in either of two ways - as a series of horizontal tan bars floating on a ground of umber brown, or as a cage-like design in umber set against a tan ground. Within this tension or ambiguity lies the great charm of its design. The optic teasing of the design is enhanced further by the variegation or ‘abrash’ of the color, which gives the surface a sense of depth, causing the tan bars to appear to float in space.